The hammered design gives our plates a unique old world look with a modern twist. 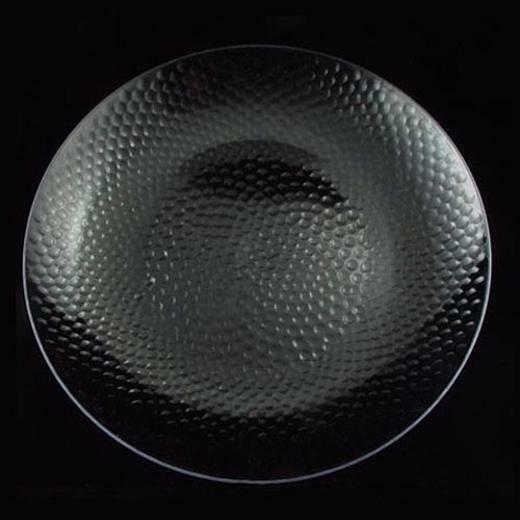 This beautiful 9" clear plastic hammered plate is heavy duty and can be disposed of after one use, but at this quality you might want to re-use it over and over again! Available in 7" and 11" trays for a unified elegant look. Each package contains 10 plates.